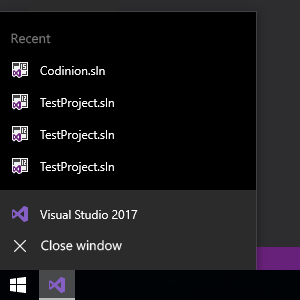 Codinion turns the Jump List of Windows into a fully customizable launch pad. 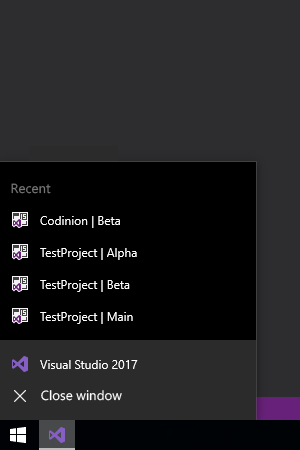 New entries and categories can be created as desired in the Jump List. 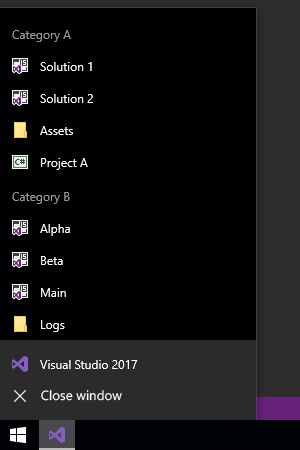 By modifying the recent entries (recently opened files) they become more identifiable. The startup modes allow quick access to the Visual Studio modes. Modify the recent entries and add additional information from their file path, for example by adding the branch name. Categories allow grouping of Solutions, Projects, directories, files and tools, for example by branches, projects or customers. 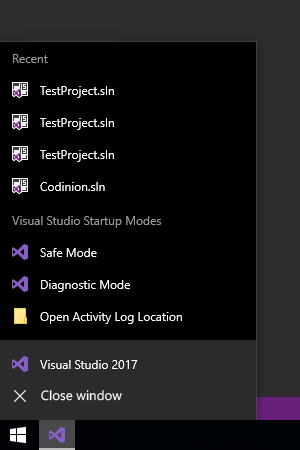 Gain fast access to Visual Studio modes like Safe Mode, Diagnostics Mode or the Activity Log Directory.